Marshals are such an essential part of motor racing. Without them, we simply would not be able to go racing! Not only are they there for safety but they also carry out some essential administrative duties such as checking each car has been and passed scrutineering before going out on track. Whilst as a driver, you hope never to have to meet the marshals on track, I have had cause to do so on a few occasions, most notably when I barrel rolled 7 times at about 110 mph at Silverstone. The Marshals got to me quickly and ensured I was okay, keeping me calm (I was temporarily blind) and getting the ambulance to me asap. I’ve had the pleasure of doing a days’ marshalling (something I think all drivers should do), attended a marshal training day (where I discovered I am a little bit of a pyromaniac!) and driven the safety car with a chief marshal alongside me. Marshals are great people and it will never fail to amaze me how dedicated and fabulous they are! It is, therefore, an absolute honour to be asked to be a Brand Ambassador for the BMMC and I look forward to helping, promoting and doing my bit for them. 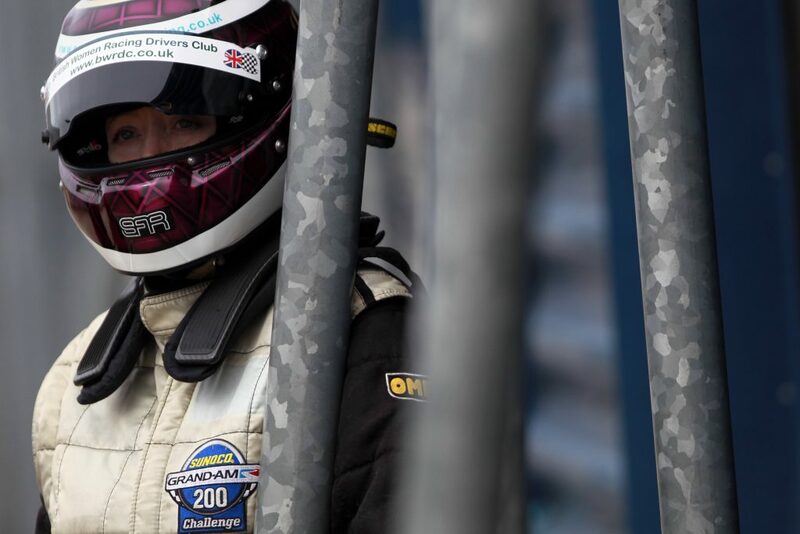 I started racing in 2004 in the Texaco Havoline Ginetta Championship in a Ginetta G20, where I raced alongside the likes of Rob Austin, Andy Jordan and Matt Nichol-Jones. It certainly was a steep learning curve! Since then, I have raced in Britcar, the Zing Trofeo Abarth 500 GB Championship and Porsche Carrera Cup. I became Production Touring Car Class B Champion in 2012 in a Fiat Abarth and also took the first ever win the in the inaugural Smart 4Two Cup at Donington. I then discovered Clios! I started in the Michelin Clio Cup Road Series, narrowly missing the championship in my second year and then moved on to the Race Series two years ago. 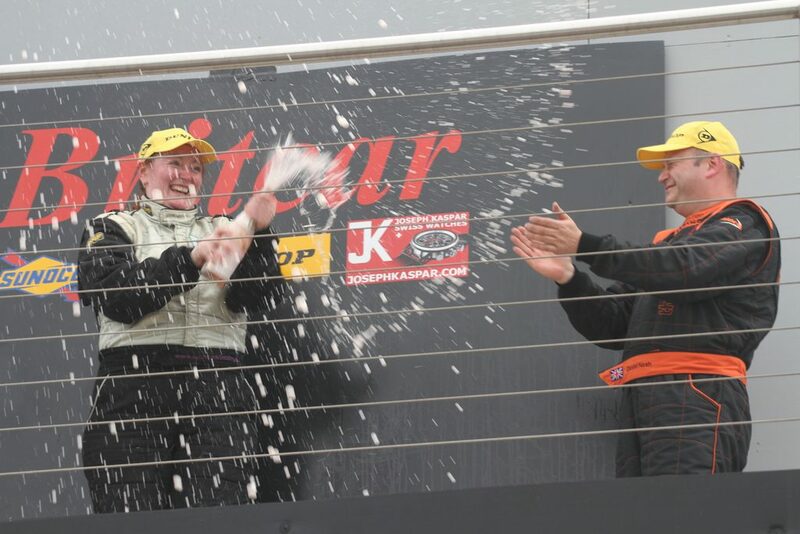 I took the win in the inaugural BWRDC Ladies Race in 2014 at a very wet Silverstone in my Road Series Clio. In the meantime, the day job is that of a lawyer where I have my own legal practice, Sarah Franklin Solicitors. Within this firm, I have a department purely specialising in all things motorsport – Motorsport Legal. I sit on the Judicial Advisory Committee of Motorsport UK and I am also on the Committee of the British Women Racing Drivers Club where I look after all things legal, edit their magazine, Racing Vogue and look after their social media presence. I also help out with social media for other young drivers.